JNTUH M.Tech & M.Pharmacy Results Dec 2018: JNTUH M.Tech/M.Pharmacy 1st, 2nd, 3rd Semesters Regular/Supply Exam Results Dec2018 released at official website. students can check jntu hyderabad m.tech and m.pharmacy results 2019 for R17, R15, R13, R09 Regulations from direct links which was mentioned below. JNTU Hyderabad Conducted M.Tech and M.Pharmacy I, II, II Semester Regular/Supplementary examinations in the month of December 2018. Many people have attempted exams and eagerly waiting to know their results. Because every one is willing to write next semesters if they pass and get good marks in these exams. finally after completion of valuation, university released results for all regulations below. 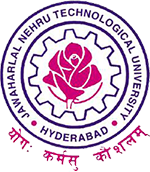 JNTU Hyderabad has announced M.Tech and M.Pharmacy I, II & III Semesters R17, R15, R13, R09 Regular/Supplementary Examination Results Dec 2018. Students can check their results from below links. M pharmacy R17 Regulation 2nd sem Supply results when will come. Exam was completed at January of 2019. M.pharm 1st year k Result kab release hoga ? When R13 mtech jntuh 3rd semister Project viva voce notification will be announced .please let me know it will be great appreciable. Dear sir result is not showing , i tried for many times but it shows try after some time and today is the last date for recounting and Revelation please give me a better solution .